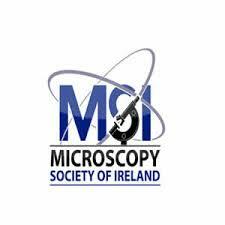 STARSTEM Coordinator Prof Martin Leahy of the Tissue Optics and Microcirculation Imaging (TOMI) Lab at the National University of Ireland Galway will deliver a plenary talk at the International Conference on Bio-Sensing and Imaging (ICOBSI). 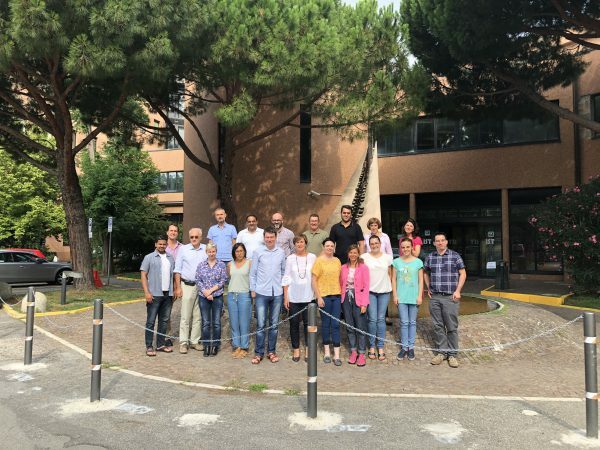 The meeting is taking place on the 17th-19th of December 2018 in Florence, Italy. This meeting is supported by NANOMAX. 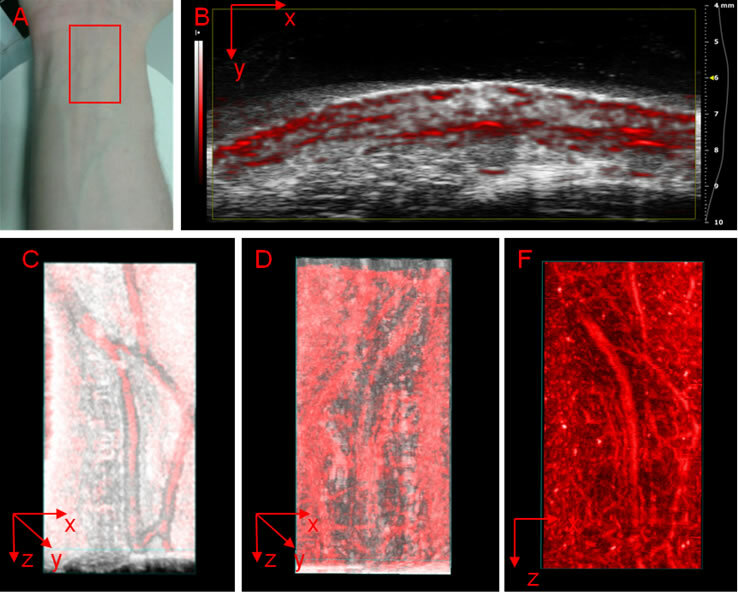 Martin's talk entitled “Imaging strategies for stem cell tracking in large animals and humans”will be part of the "Molecular & cellular imaging and mechanisms” session on Tuesday, the 18 of December, 09.00-11.00. 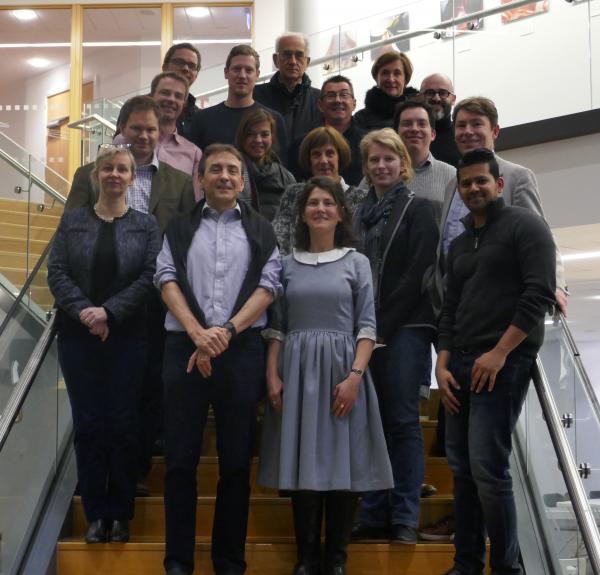 Two researchers from the Technical University of Munich (TUM) recently visited the University of Cambridge's Division of Trauma and Orthopaedic Surgery (DTOS) in the Department of Surgery, Department of Veterinary Medicine to learn new surgical techniques as part of the STARSTEM project. From left to right, TUM researchers Uwe Klemm and Pia Anzenhofer in the laboratory with Will Hotham, PhD student from the University of Cambridge. 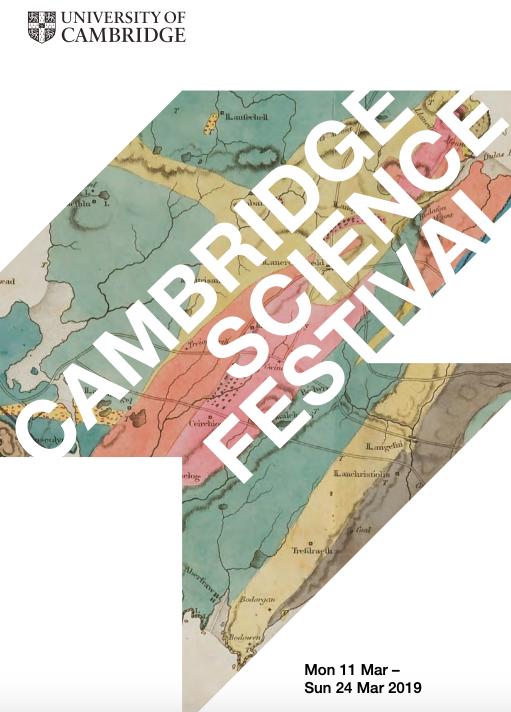 While in Cambridge, Pia and Uwe also visited The Eagle pub where the double helix structure of DNA was confirmed and tried fish and chips for the first time. Unfortunately, they also got the best of the English weather as it poured rain all day! STARSTEM PIs Chiara Gentili and Maddalena Mastrogiacomo and their group at the University of Genoa featured in the July 2018 communication publication Ricerca & Innovazione. The story, "Nanotechnologies for Cell Therapy" appears on page 114. View the entire publication here in Italian. Read the English version of the story here. On October 5 and 6, 2018, Zoobiquity Colorado: Connecting Human and Animal Health through Regenerative Medicine will take place. Here, STARSTEM PI Prof Frank Barry of the Regenerative Medicine Institute at the National University of Ireland Galway will deliver a keynote presentation, ‘Cell Strategies for Arthritic Disease’. 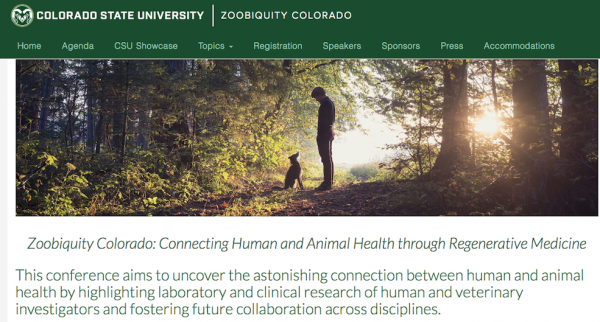 Zoobiquity Colorado aims to uncover the astonishing connection between human and animal health by highlighting laboratory and clinical research of human and veterinary investigators and fostering future collaboration across disciplines. 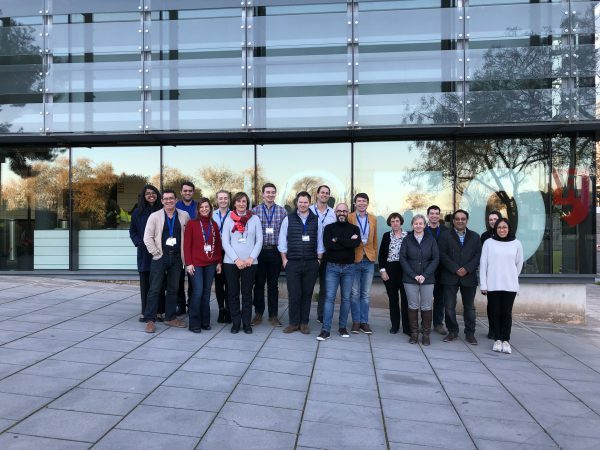 As an invited speaker, NUI Galway Regenerative Medicine Institute PI Mary Murphy presented STARSTEM at the CÚRAM Centre for Research in Medical Devices annual retreat which took place on June 20, 2018, in Naas, Co Kildare in Ireland. 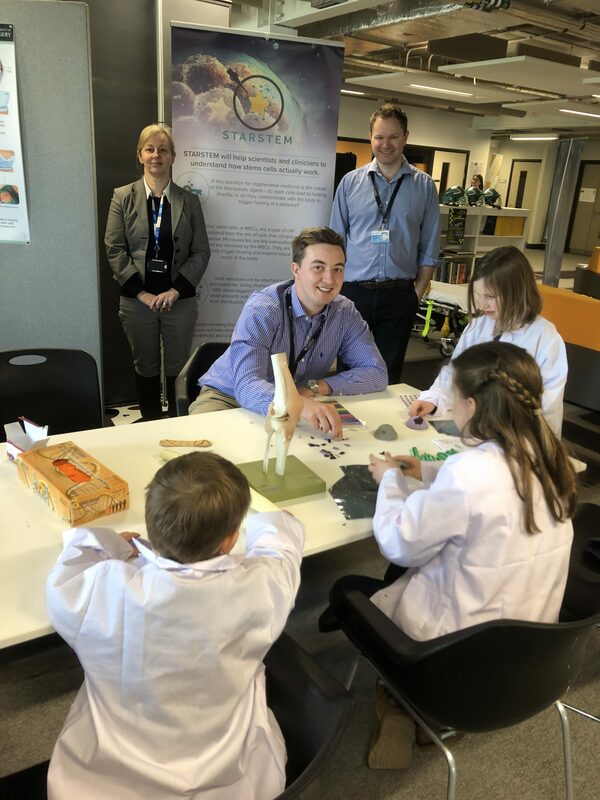 CÚRAM supports industry from basic scientific research, through translational preclinical and clinical development, into regulatory and commercialisation readiness. 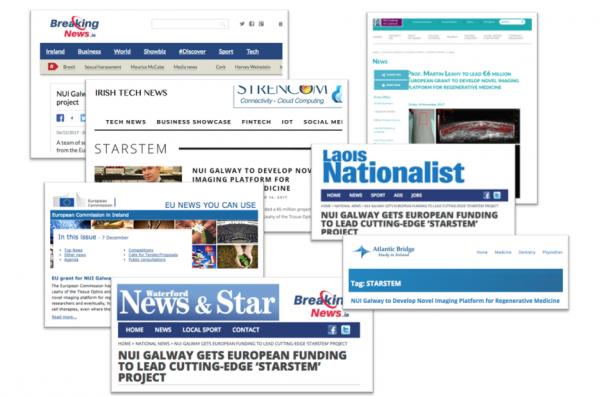 The CÚRAM Centre is coordinated at NUI Galway but has partners spanning Ireland. VJ Raghavan of the Tissue Optics and Microcirculation Imaging (TOMI) Lab at the National University of Ireland Galway presented STARSTEM at the SPIE Bios Photonics West conference which ran from 27 January- 1 February 2018 at the Moscone Center in San Francisco, California, USA. Photonics West is the largest laser, photonics, and biomedical optics conference. 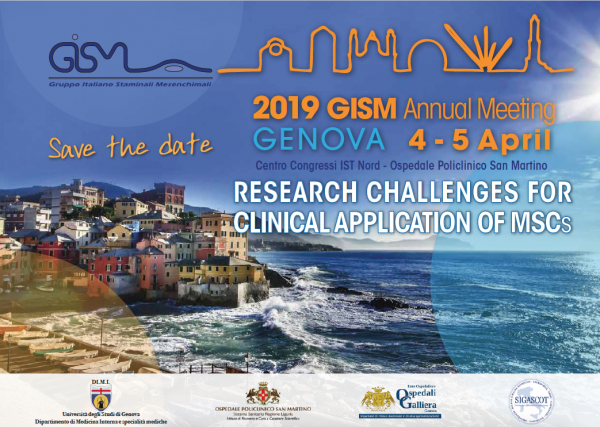 This year it attracted 23,000 attendees, six well-known symposia, and 4,900 R&D presentations which covered a wide range of papers on biomedical optics, biophotonics, translational research, industrial lasers, 3D printing, optoelectronics and microfabrication. 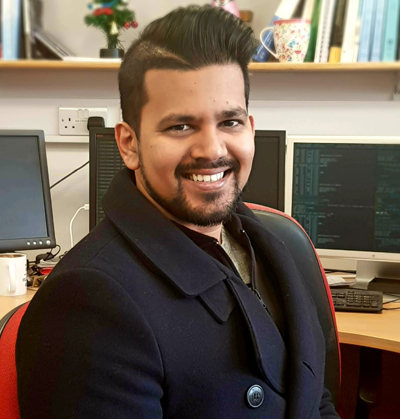 Read more about VJ's presentation entitled "Plasmonic gold nanostars for biomedical imaging and theranostic applications" here.